Forskolin is a natural extract that comes from the root of Coleus Forskohlii, a plant in the mint family. It's been known to help boost metabolism, increase energy, increase lean body mass, improve sleep, plus reduce inflammation and regulate blood sugar and blood pressure. 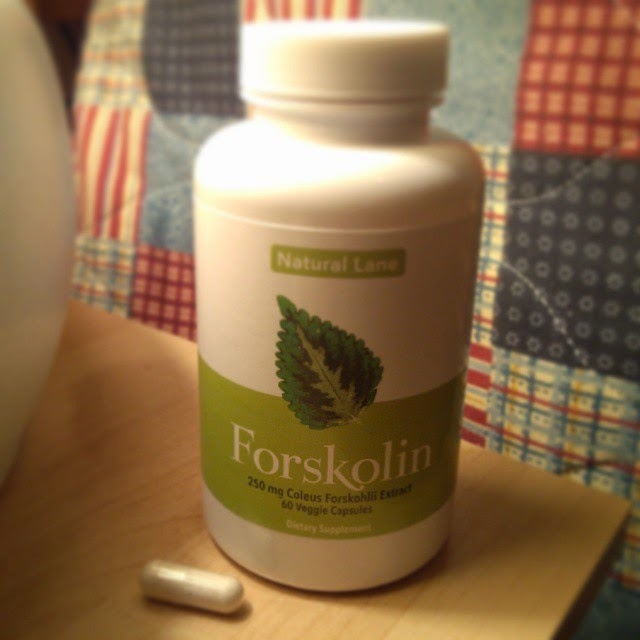 Natural Lane's Forskolin contains 250 mg per capsule, which is one of the strongest formulas available. Each bottle comes with 60 capsules, and directions state to take one capsule 20-30 minutes before a meal, twice a day. Although this supplement doesn't have a high priority on my list of daily supplements, I did try it before meals for a couple weeks. I didn't notice any visible weight loss results, but my energy seemed to improve slightly and I do feel like it helped keep my blood sugar stable. Even though I wouldn't say I saw major positive results, I also didn't have any negative side effects whatsoever, so it lived up to its claim that way. I didn't experience any jitters, headache, stomach upset, etc. So at least I can say for sure that this supplement is high quality and well-made. If nothing else, it's worth a try, but it's not something I can say definitively that causes a change in weight or metabolism.